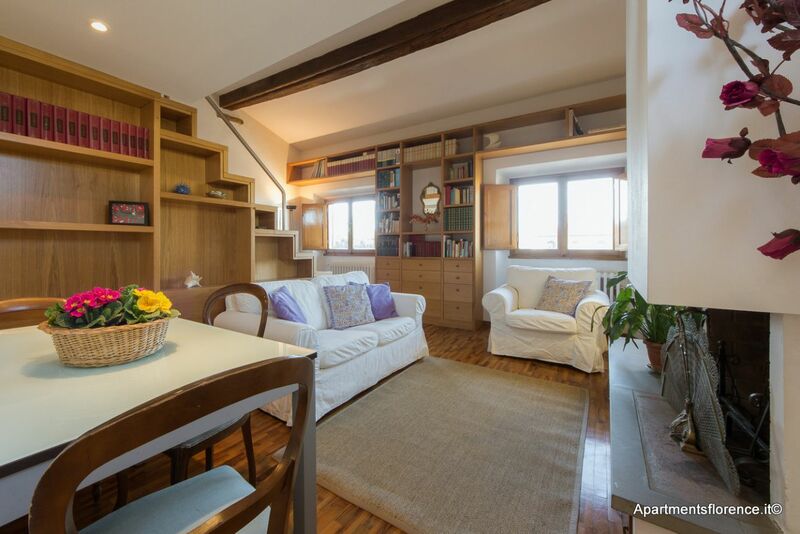 The apartment is located in a building of Gothic structure, built in 1300, with the upper floors built in the Eighteenth century. 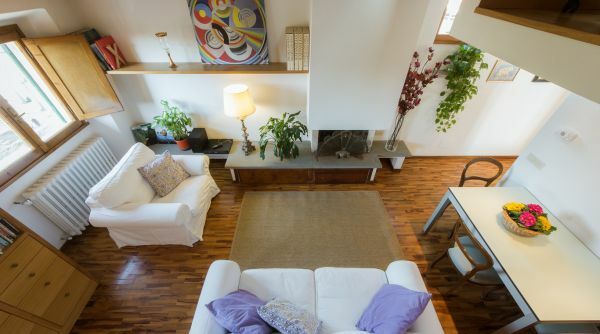 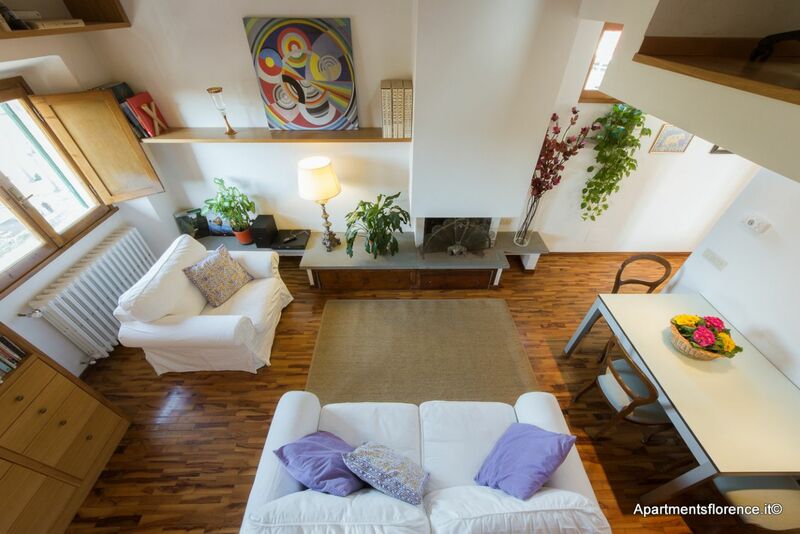 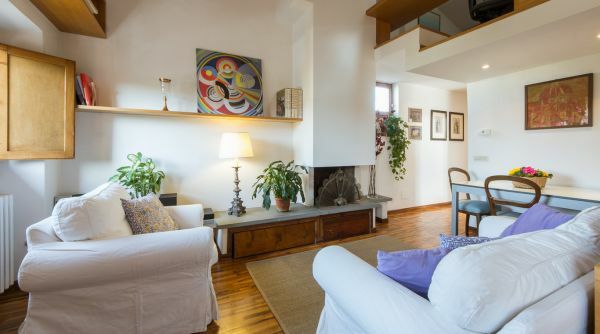 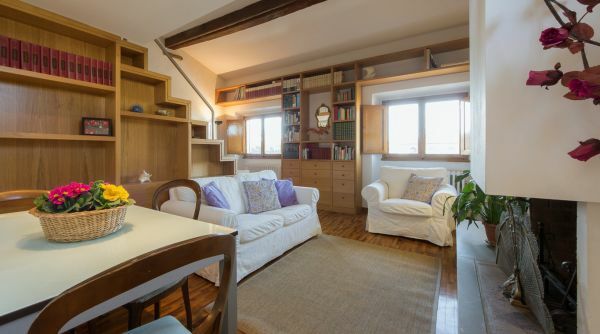 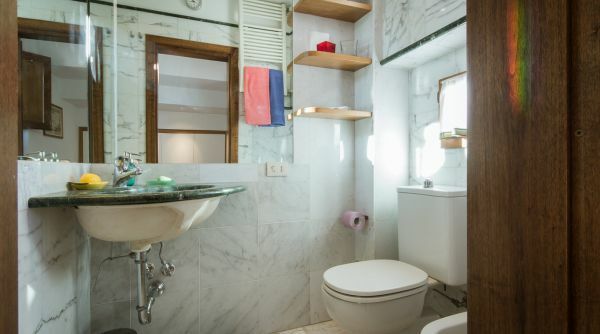 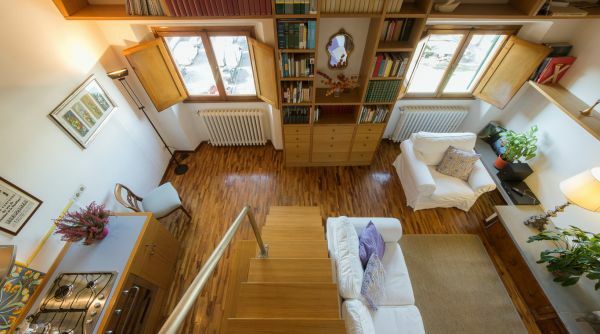 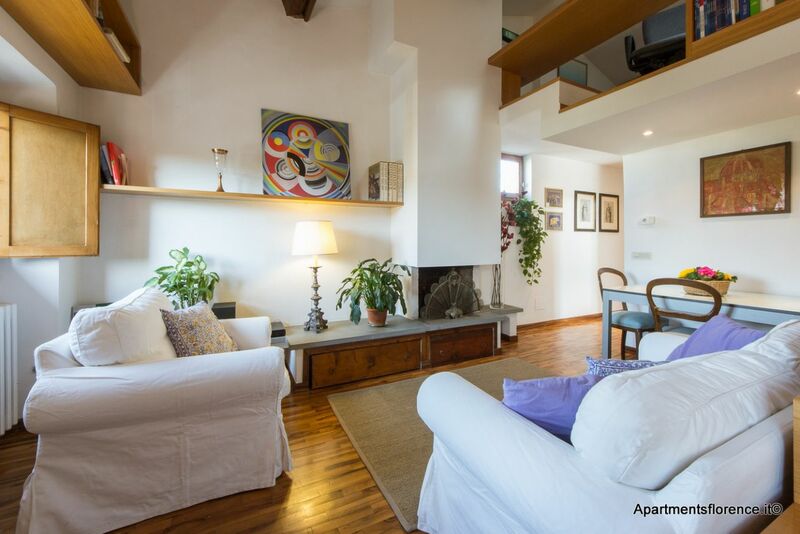 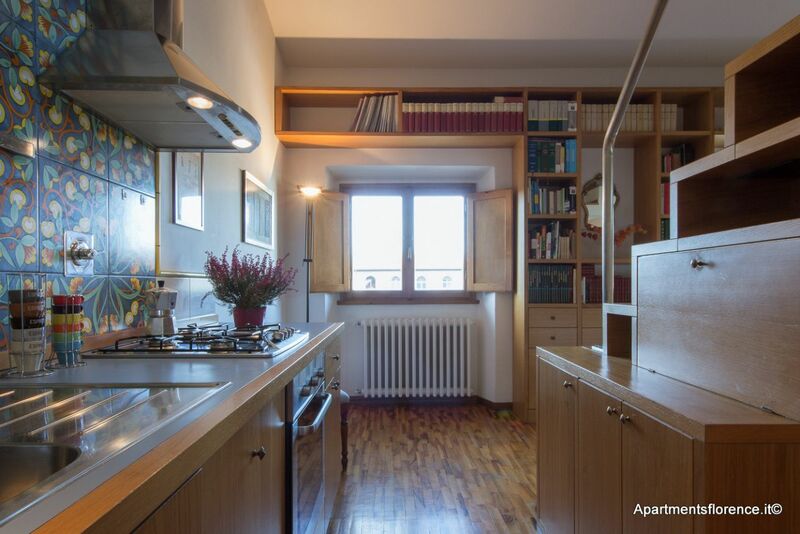 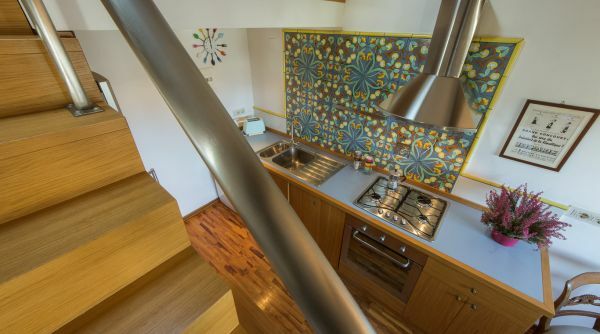 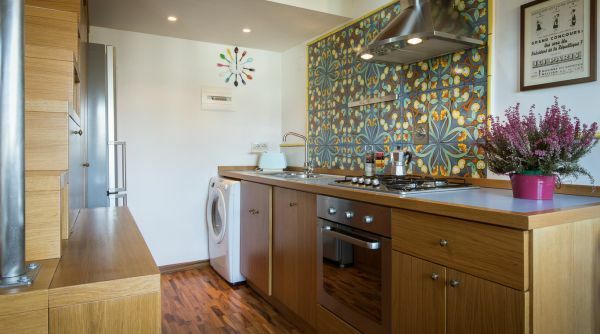 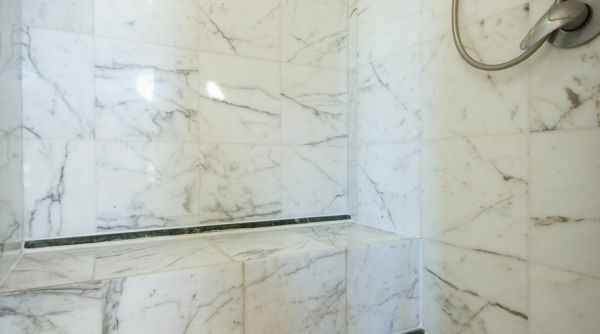 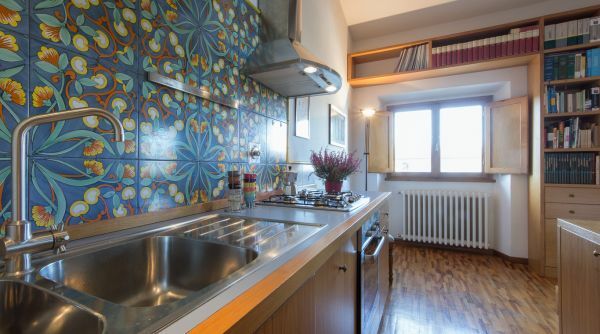 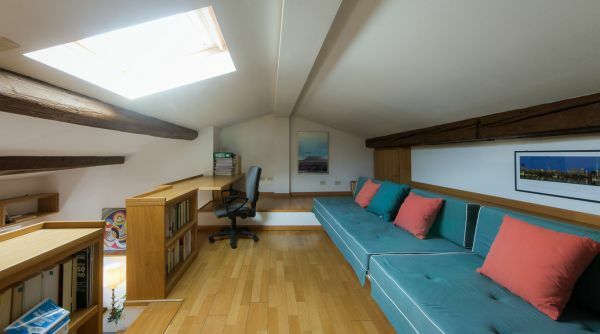 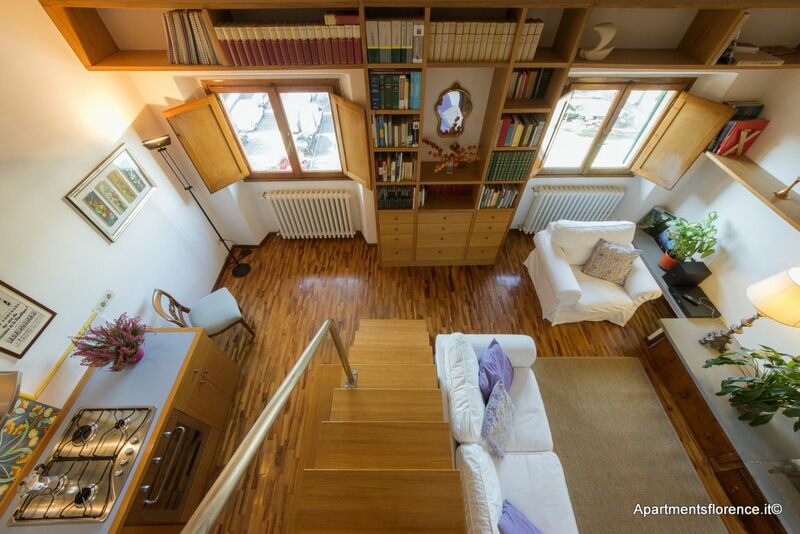 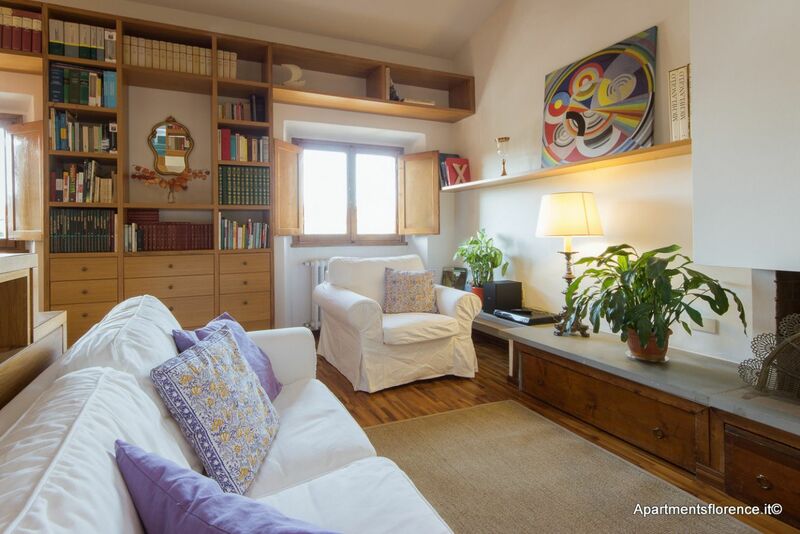 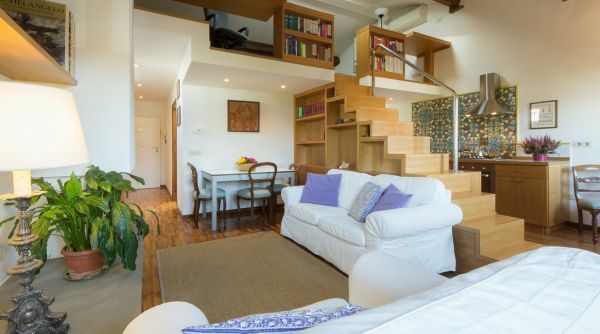 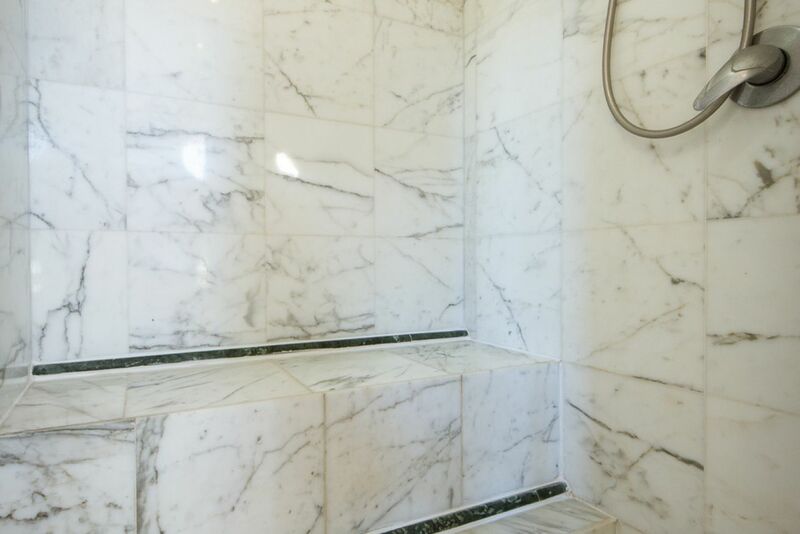 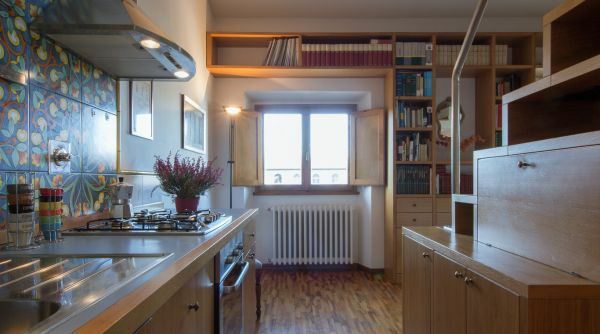 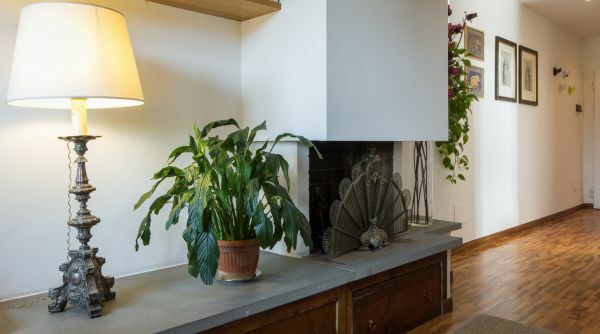 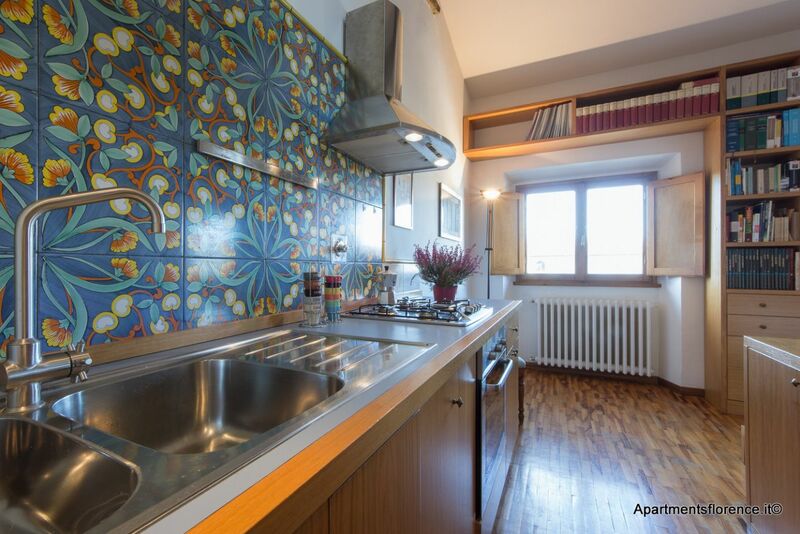 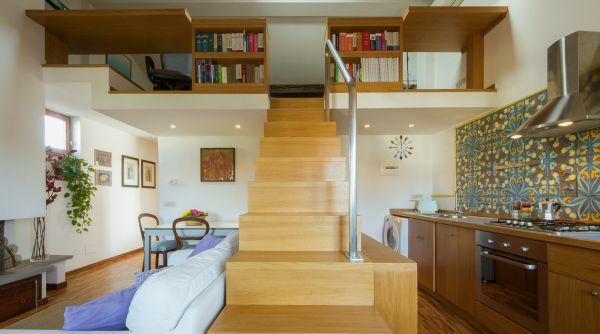 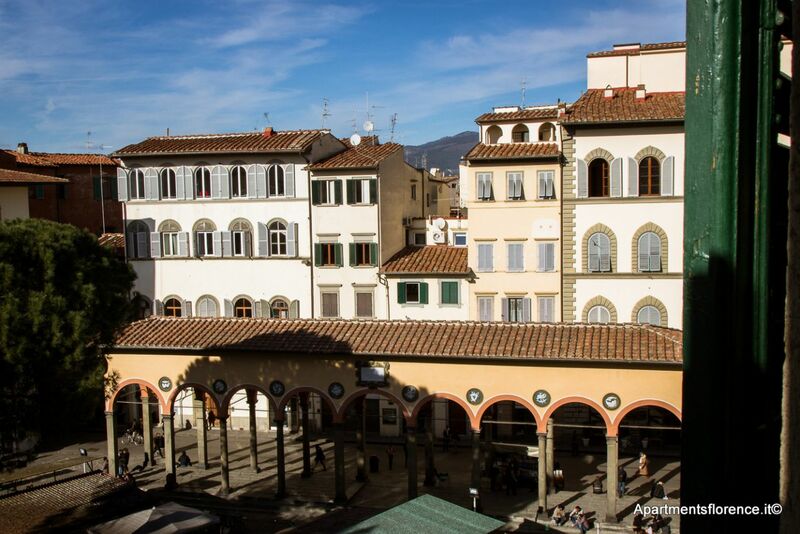 Placed on the fourth and last floor, with a double bedroom and bathroom with shower, it is in a fantastic area of Florence, close to Piazza Santa Croce. 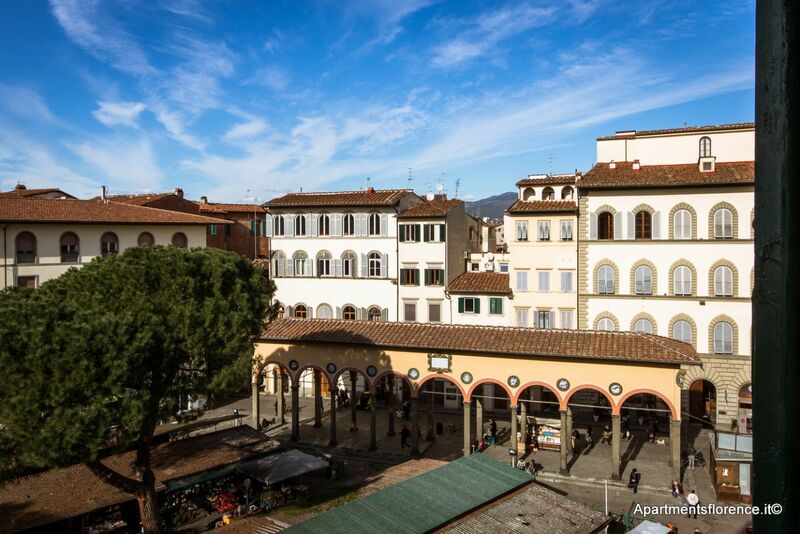 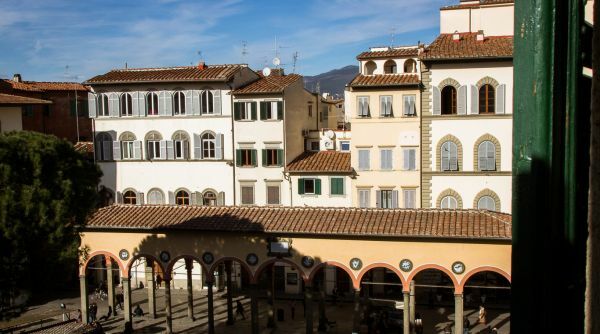 The apartment overlooks Piazza dei Ciompi, where there is the Sixteenth-century Loggia del Pesce (recently renovated in 2015). 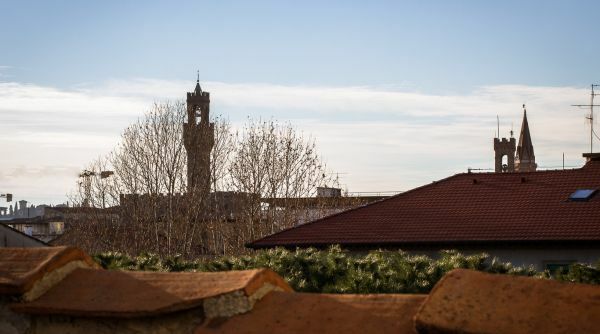 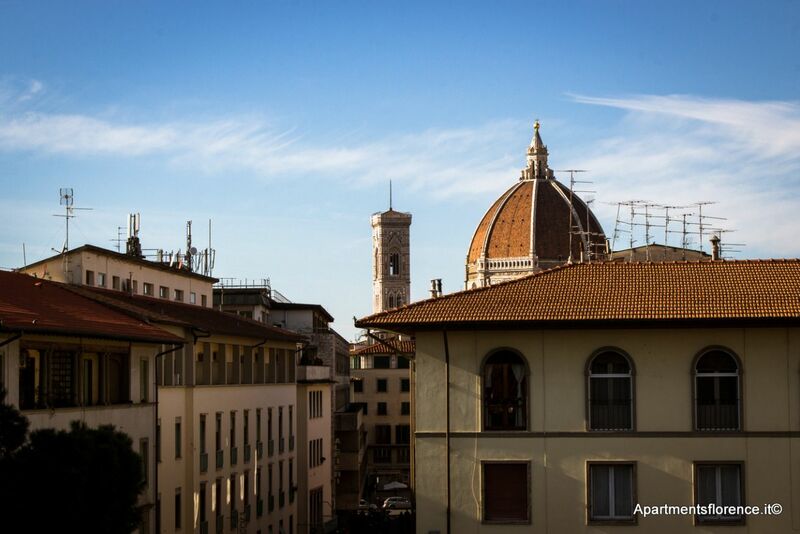 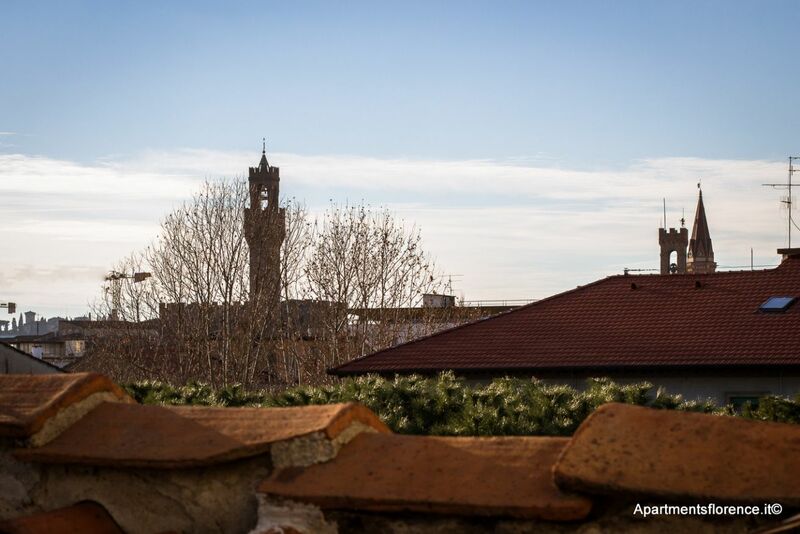 From the living room you can see the Florence's main monuments: the Tower of Arnolfo of Palazzo Vecchio, the Cathedral of Saint Mary of the Flowers and the side of the Basilica of Santa Croce. 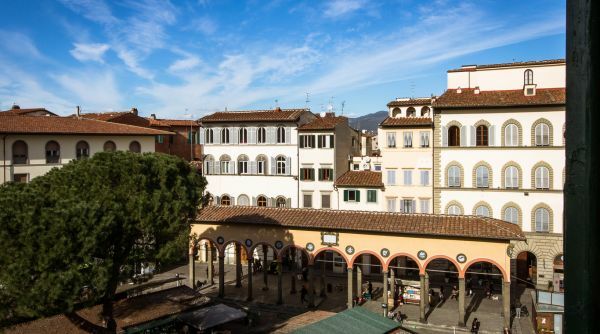 From the window of the bedroom, however, you can also admire the Florentine hills, the Piazzale Michelangelo and the Church of San Miniato al Monte. 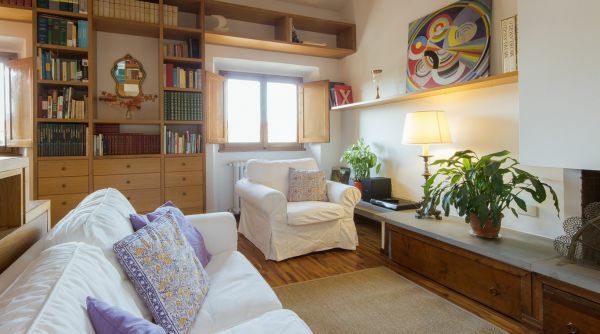 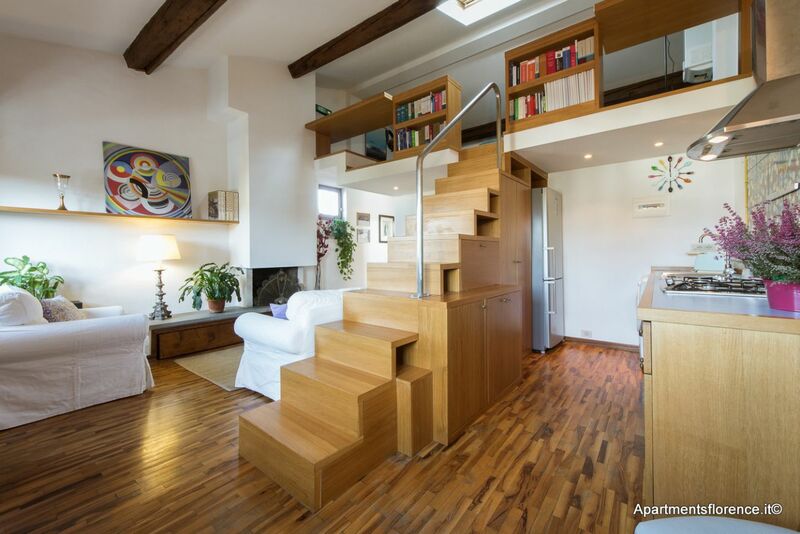 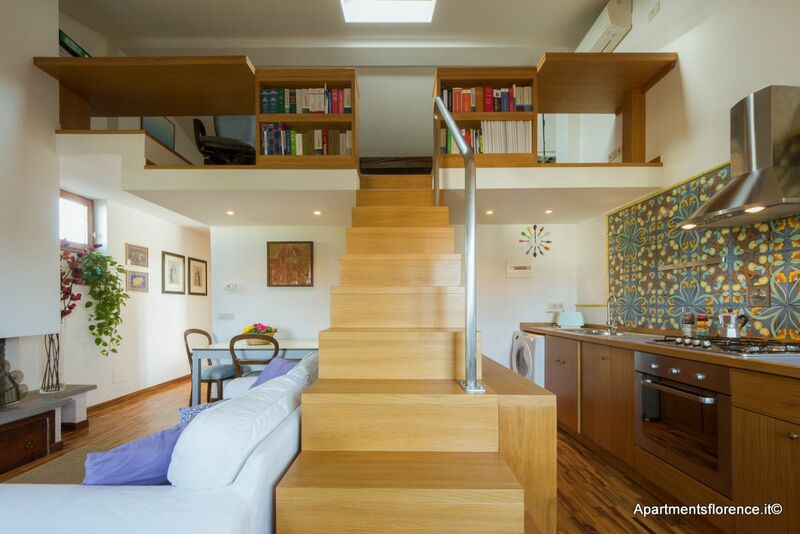 In 2009 the apartment was completely renovated and is perfect for an enjoyable time in the heart of the city of Florence. 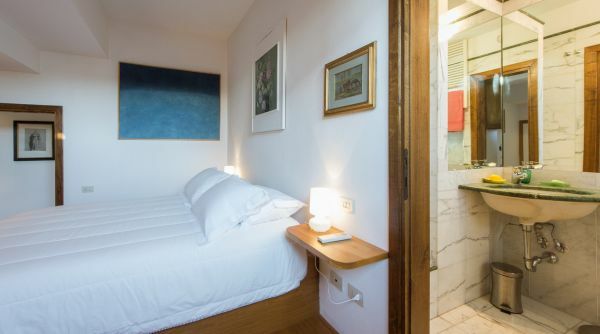 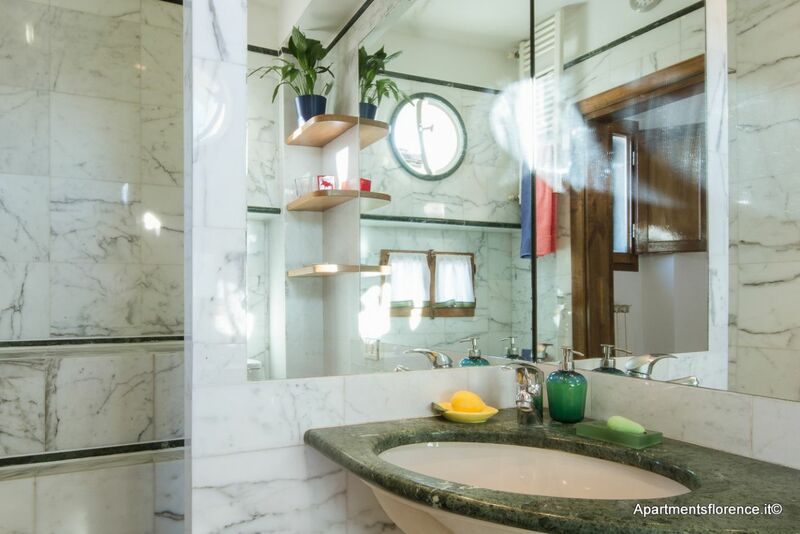 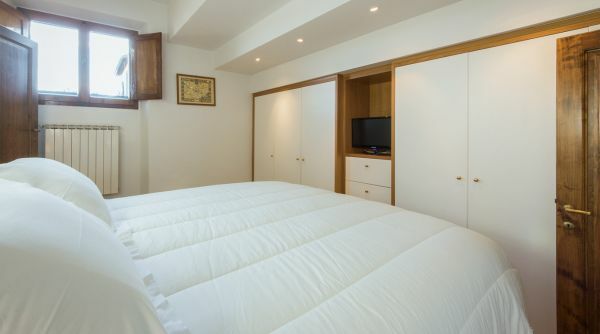 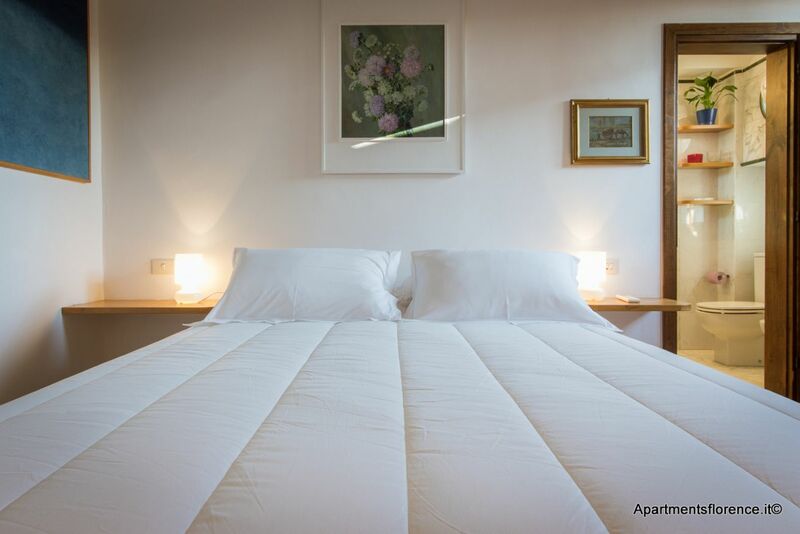 Entering the corridor, on the left you find a spacious double bedroom, with a large and comfortable mattress supported by wooden slats and a spacious closet, and the bathroom, finely decorated with white and green marble (with two small windows that overlook the Florentine hills). 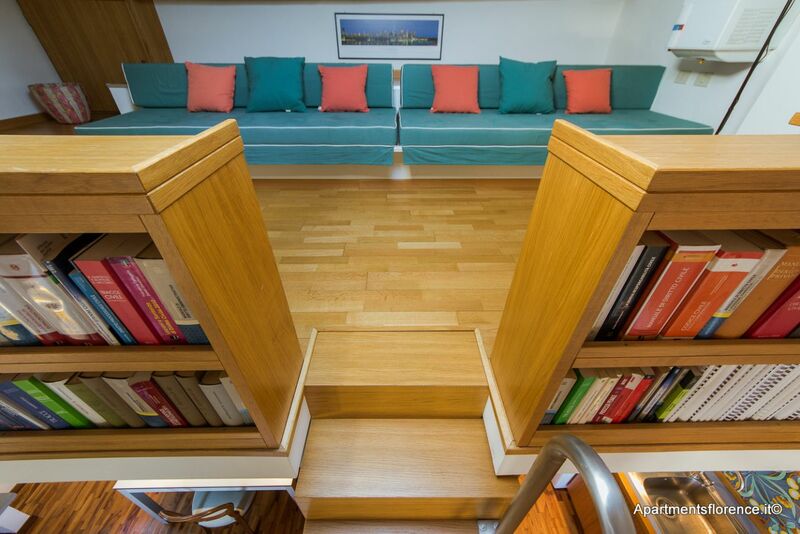 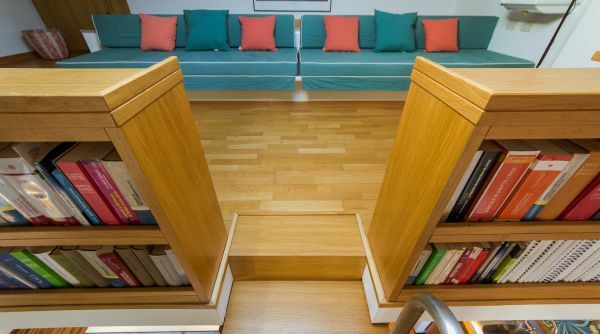 Continuing in the hallway, you enter in the living room, with a coach, armchair and dining table extendable up to 8 people. 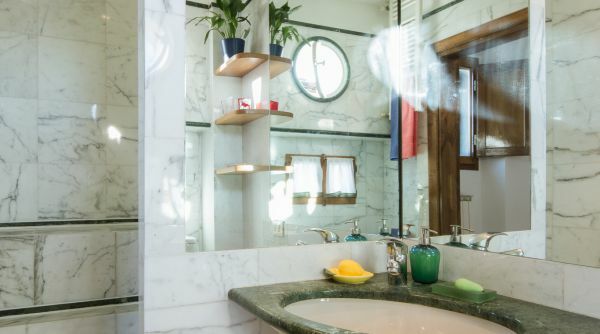 The building and furnishings were custom-made by an architect, with the result that spaces are optimized and well-finished with attention to the smallest detail. 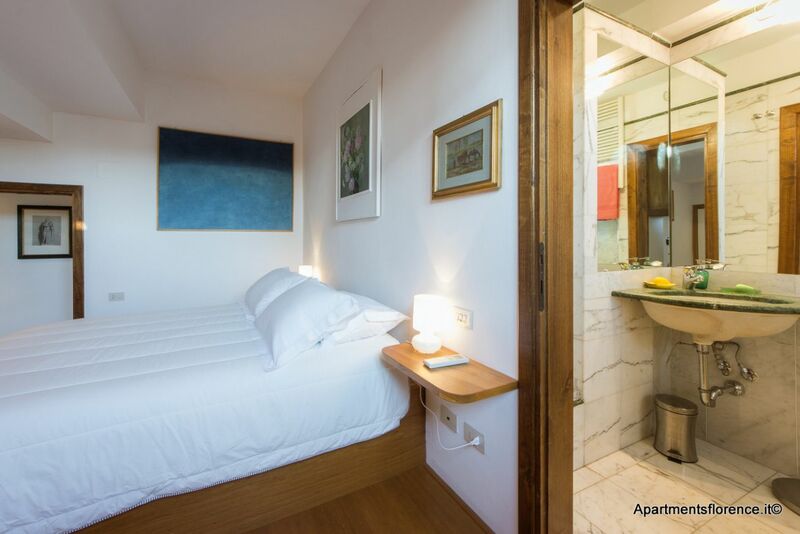 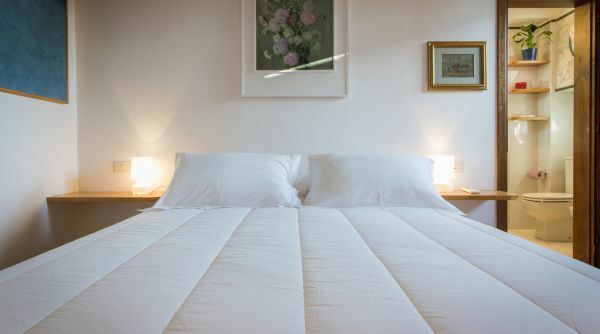 It is equipped with all the amenities, from the choice of linen and towels, dishwasher, washing and drying machine, microwave oven, flat TV screen, Wi-Fi internet, iron and vacuum cleaner. 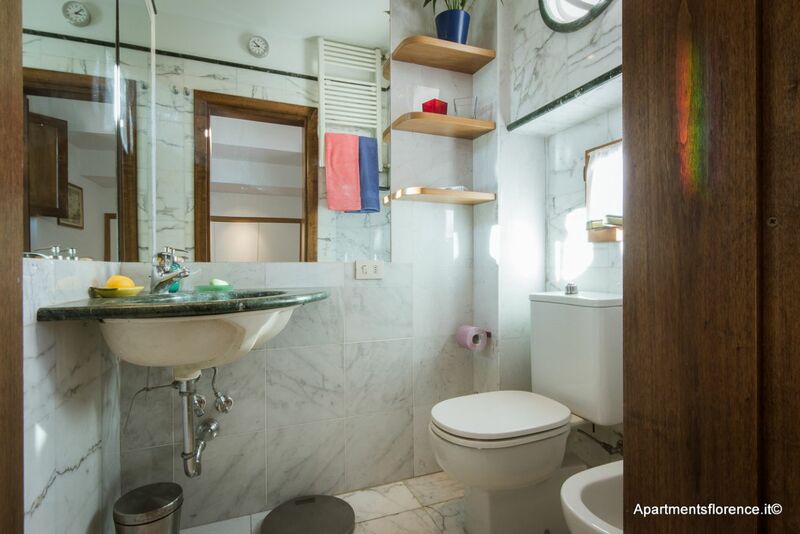 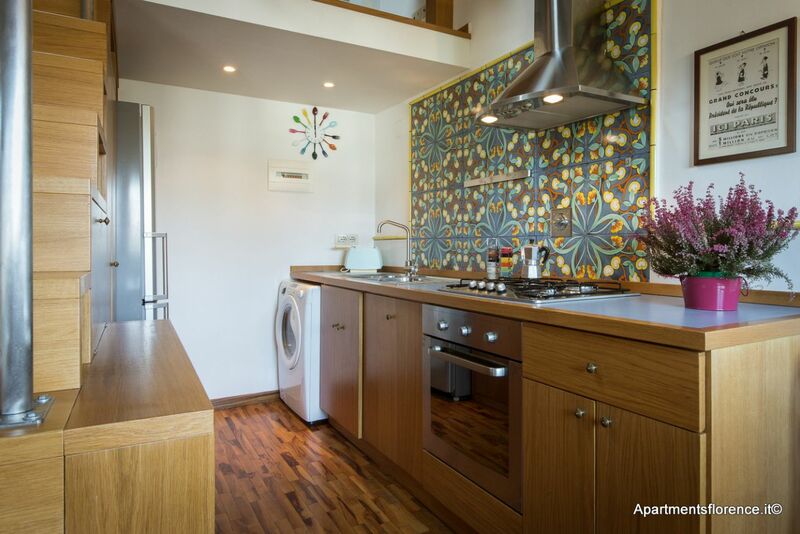 It is a fantastic choice for those who want to spend a pleasant time in the center of the city and live in an nice and comfortable apartment. 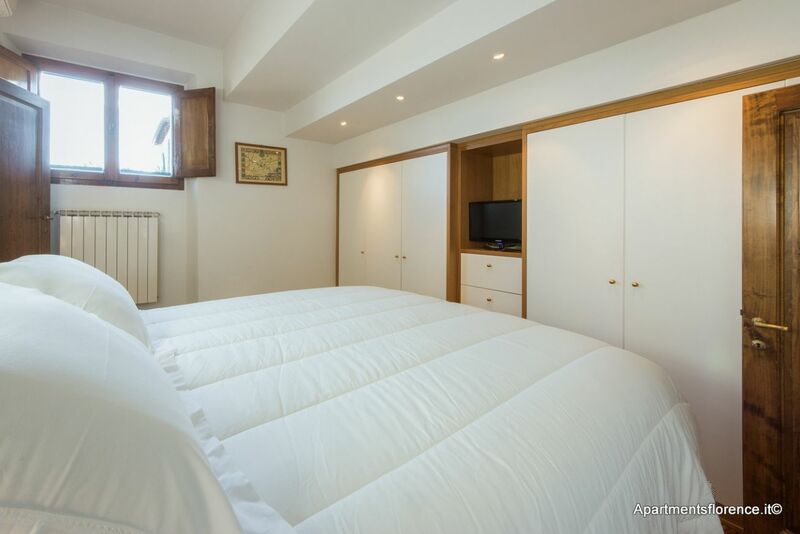 Prestazione Energetica Globale: 292.3 kWh/m²anno. 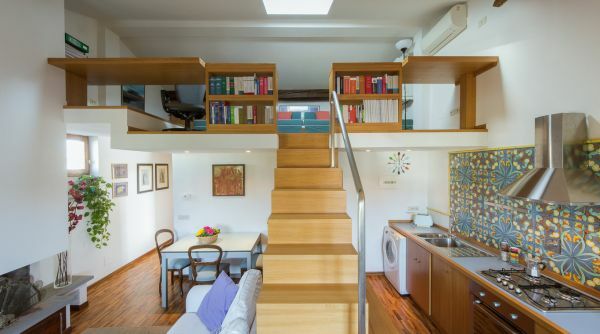 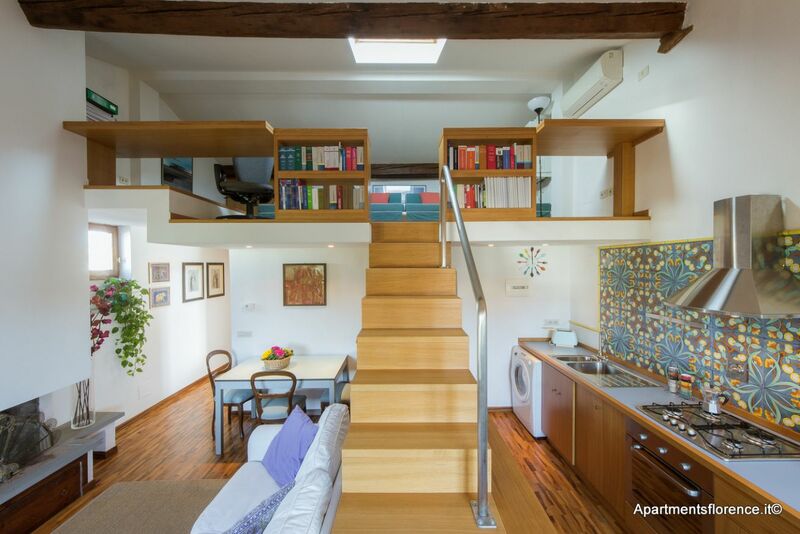 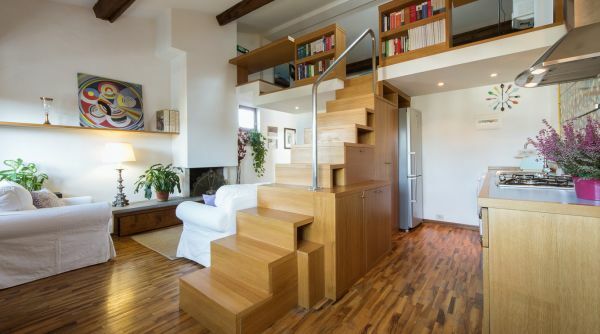 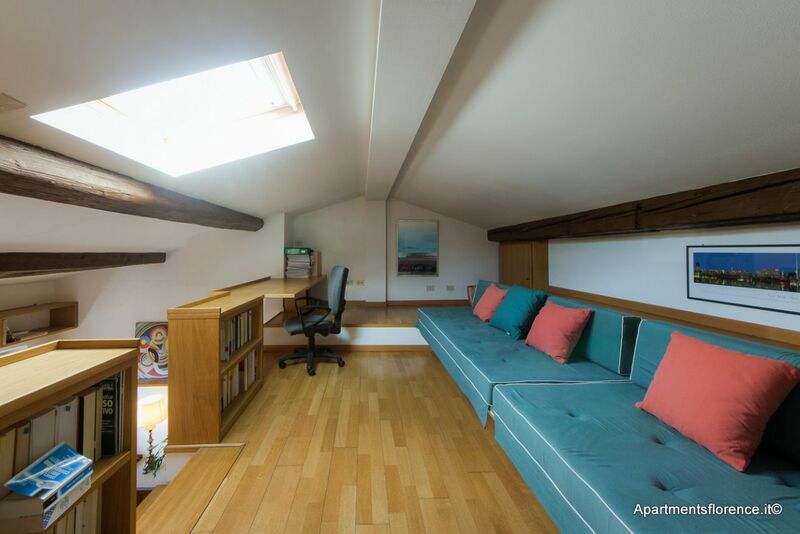 Giulia's loft is a place many foreigners dream about. 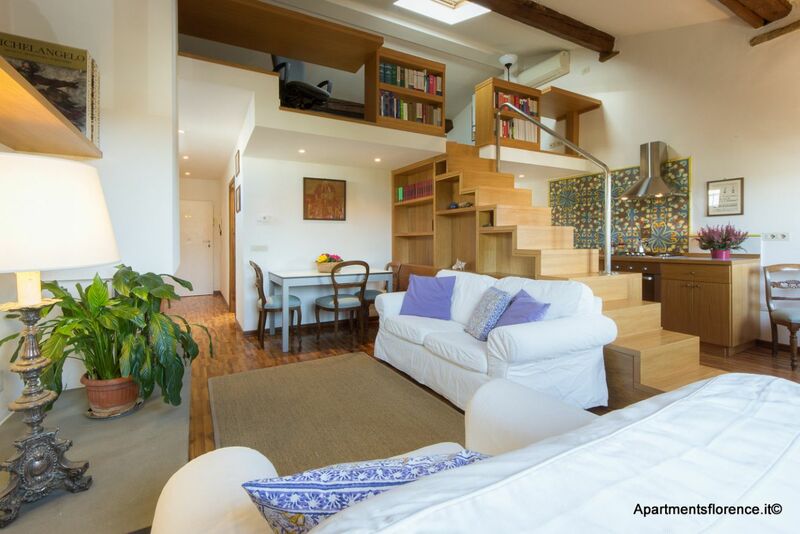 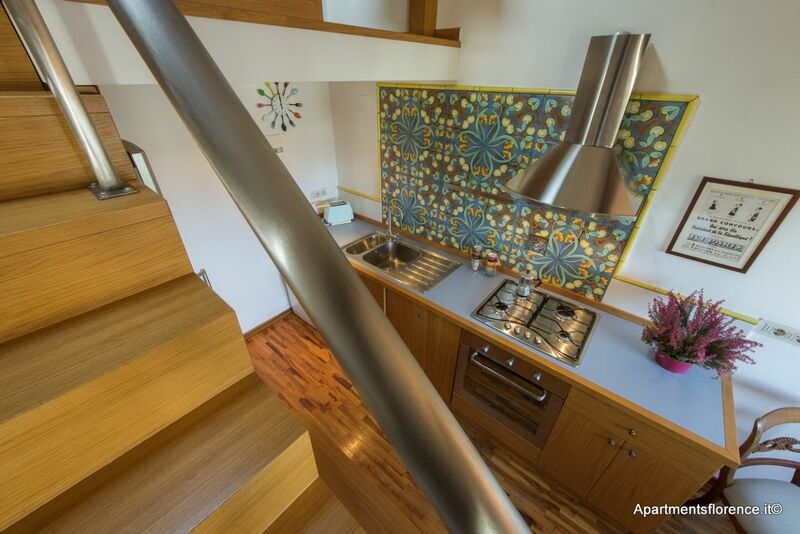 The size is quite large for a one bedroom loft and everything from the details, accommodation, location and services are all top quality. 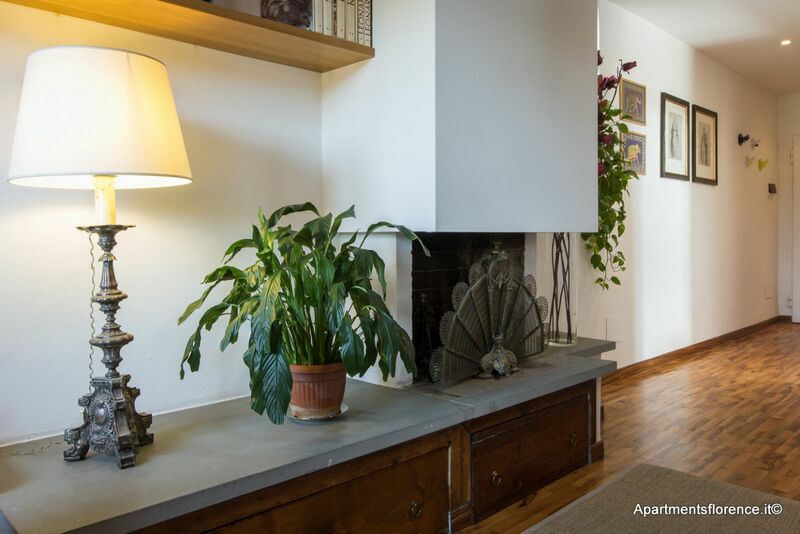 The neighborhood is very local and authentic, but puts you walking distance to everything you want to see and experience in the beautiful City.